Hold a Bachelor of Science or be in the final year of studies of... (read more). For EU and non-EU citizens. Why study CSE at EIT Digital? Where can I study CSE? What can I study at the entry and exit points? Why study Cyber Security at EIT Digital? At EIT Digital we see cybersecurity as one of the cornerstones of creating a safe and inclusive digital society. The omnipresence of digital technology has made that cybersecurity has even become an essential ingredient in defending our democratic values, as this recent article in politico.eu illustrates nicely. Our Master School Programme Cyber Security has been developed to equip responsible cybersecurity specialists with the right knowledge and skills to be able to contribute to make the digital world a safer place. The programme focuses on the study of the design, development and evaluation of secure computer systems, which are also capable of ensuring privacy for future ICT systems. The aim is to provide students with an understanding of the concepts and technologies for achieving confidentiality, integrity, authenticity, and privacy protection for information processed across networks. Students will learn the fresh hot topics of the field including blockchain technologies, crypto currencies, practical (ethical) hacking, and quantum cryptography. Access to the competence of eight EIT Digital innovation action lines, not least through a summer school between the two years. Access to the co-location centres and innovation ecosystems of the EIT Digital nodes. Reasonable knowledge of the fundamentals of computing and information sciences and technologies. Kindly note that relevant work experience can compensate a non-strictly matching bachelor degree. Please justify your work experience in your motivation letter or resume. Once your papers are received, the selection committee will make the final decision on whether your bachelors and work experience are sufficient as prerequisites for the track you have applied for. Students study one year at an ‘entry’ university and one year at an ‘exit’ university in two of EIT Digital’s hot spots around Europe. Upon completion, graduates receive degrees from the two universities and a certificate awarded by the European Institute of Innovation and Technology. The first year is similar at all entry points with basic courses to lay the foundation for the chosen technical programme focus. Some elective courses may also be chosen. At the same time, students are introduced to business and management. During the second semester, a design project is combined with business development exercises. These teach how to turn technology into business and how to present a convincing business plan. In between the first year and the second year, a summer school addresses business opportunities within a socially relevant theme. The second year offers a specialisation and a graduation project. The gradation project includes an internship at a company or a research institute and results in a Master thesis with a strong innovation and entrepreneurship dimension. To learn more about the I&E minor please click here. Where can I study Cyber Security? Click on the image to download a higher resolution version of the map (PDF format). The first year is similar at all entry points with basic courses on Introduction to Computer Security, Network Security, System Security, Information Security Management, Cryptography and Privacy. In addition to that, some elective courses may be chosen to prepare for a specialisation. An important part of the programme is the Innovation & Entrepreneurship (I&E) courses. The I&E basics course provides an introduction to business and management. The Business Development Lab extends media systems engineering projects by a market survey, a business model generation process, and a venture development exercise. The programme emphasises user driven innovation and holistic analysis of service, technology, organisation and financial perspectives, as new technologies are disruptive for existing business models and almost always have a significant impact on the culture and social relations. Society-relevant themes also are at the core of the summer schools, which bring students from the different entry points together. Selected together with student from available courses during personal study planning. Specialisation: Advanced Cryptography at Eötvös Loránd University (ELTE), Budapest, Hungary. The specialisation focuses on the general ideas, techniques and methods of applied cryptography as well as on the theoretical background and solid knowledge, putting security in a wider context. Security and privacy are considered both from the technological and from the economical point of view, which supports decisions in many practical cases. Applied cryptography serves as a base for most of the secure IT-systems (e.g. in Future Media and Content Delivery, Smart Spaces, Digital cities, Health and ICT-Mediated Human Activity, and Enabling the Internet of the Future). Peter Sziklai is Professor, Head of the Department of Computer Science at Eötvös Loránd University, Budapest , Research professor at the MTA-ELTE Geometric and Algebraic Combinatorics Research Group, Doctor of Science (D.Sc.) of the Hungarian Academy of Sciences, Head of the ELTECRYPT research group and also the coordinator of the EIT Digital Master School Cyber Security programme. In recent years, the most popular computing and communications platforms have changed dramatically from old desktops and personal computers to a myriad of new devices, often embedded and personal. New devices used not only to navigate the web, send email and write document but rather to support pervasively most of the activity users perform during their everyday life. This revolution has touched private, business and governmental domains (e.g., industry 4.0, Internet of Things, critical infrastructures, smartphones, smart cities, etc.). This in turn has created entire new ecosystems that include technical, social and economical factors. The specialisation Applied Security focuses on addressing security and privacy for these new ecosystems trying a holistic approach that does not focus only on technical issues. It covers the technological aspects such as investigating and experimenting new class of threats and vulnerabilities that apply to these new systems or designing user authentication mechanisms for devices were passwords cannot be an option. It also covers the economic aspects that are crucial to understand attackers, their motivations and the best defense strategy (i.e., When is worth patching a vulnerability? Which vulnerability is worth patching? Are economic-related questions rather than technical-related ones). Prof Dr Fabio Massacci received a M.Eng. in 1993 and PhD in Computer Science and Engineering at University of Rome La Sapienza in 1998. He visited Cambridge University in 1996-97 and was visiting researcher at IRIT Toulouse in 2000. He joined the University of Siena as assistant professor in 1999, and in 2001 he became a full professor at the University of Trento. His research interests are in security requirements engineering and verification and load-time security for mobile and embedded systems (Security-by-Contract). 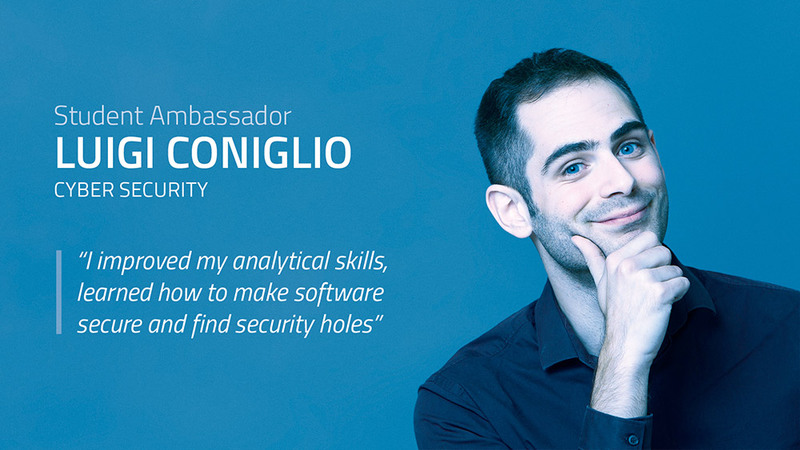 He co-founded the ESSOS with W. Jousen, Engineering Secure Software and Systems Symposium, which aims at bringing together requirements, software engineers and security experts. He was leading the Empirical Security Requirements and Risk Engineering Challenge (ERISE). He has been a scientific coordinator of multimillion-euro EU projects on security compliance, security engineering and secure evolution. Although cryptography has been around for quite some time, emerging concepts such as “Bring Your Own Technology”, the “Internet of Everything”, or “Crypto Currencies”, that increasingly exploit mobility and personalisation, put new requirements on security technologies; think about the e-cigarette USB-charger that infects a big corporation with malware. Today’s high diversity of Internet-connected systems and services led to a substantial increase of (new) cyber-attacks in the past years. Such Internet-connected systems can be found in almost every domain, including critical infrastructures (e.g., water supply), as well as in large-scale services (e.g., hospitals) and embedded systems (e.g., in-car control systems). Notably, many risks for such systems are not solely technical but use the human factor as a characteristic element (e.g., through social engineering). Our specialisation looks at the many risks in the above-mentioned settings and provides mitigations that can be used at design time and at operation time, while taking into account the specific requirements of the various systems and the impact that risks might have. As a distinguishing element, we include the “human touch” in our attack analysis and mitigation techniques (e.g., replacing password-checks with biometric-verification or raising situational awareness to mitigate social engineering attacks). The University of Twente (UT) holds the title of the most entrepreneurial university in Europe. As such, it has an extremely large network in industry that includes around 700 university spin-offs (e.g., Booking.com was founded by a UT alumni). This provides excellent opportunities to connect to industry and access to a multitude of internship offers. Dr Andreas Peter is an assistant professor at the University of Twente (The Netherlands) and the local node-coordinator of the EIT Digital Cyber Security specialization in Twente on “Cyber Security: High Tech, Human Touch”. His own research focuses on both fundamental and applied security and privacy aspects in IT systems with a focus on privacy-enhancing technologies and cryptographic protocol design & analysis. He served on the programme committees of several workshops and conferences devoted to information security and privacy. Since 2015, he serves on the Editorial Board of the MDPI Open Access Journal on Cryptography and the SpringerOpen EURASIP Journal on Information Security. Specialisation: The specialization Mobile and Cloud Security focuses on mobile systems and the security and privacy issues thereof, with a strong focus on android based smartphones and wireless protocols. The specialisation Security of Networked Systems focuses on researching cyber security technologies for networked systems and applications of the communication-intensive future. The technological topics covered include system and network security, security of communication systems and applications, and designing secure systems. The goal of this specialisation is to give its students profound and substantial education and expertise in the field. Optional studies selected personally for each student build a special individual information security expertise profile. The curriculum consists of both theoretical and hands-on study modules. Also a large group project module called “Capstone project” can be included in the studies. The graduates of this specialisation will have strong technological, theoretical and practical understanding in security of networked systems. With their new knowledge and skills the graduates can proceed to building a successful career in securing the information and communication technology in the industry. Additional specialization courses may be available annually. Electives are chosen individually for each student when their personal study plan is made. Dr Seppo Virtanen is an adjunct professor (docent) at University of Turku, Finland, where he also heads the Master’s Degree Programme in Information Security and Cryptography. Dr Virtanen received his MSc degree in electronics and information technology in 1998 and DSc (Tech.) degree in Communication Systems in 2004 from the University of Turku. He serves regularly as a programme committee member and referee for international journals and conferences. Currently the focus in his research is on information security issues in the communication and network technology domain, specifically focusing on design and methodological aspects of reliable and secure communication systems and secure communication for IoT. He has acted as the supervisor or the examiner of 5 PhD theses, 94 Master’s theses and 35 Bachelor’s theses. Although cryptography has solved many problems concerning the security of communication channel, the main challenges that cryptography tries to address nowadays concern the security of the computations. For instance, side-channel is a real issue on smart cards and embedded systems. Today these attacks have also been mounted on classical PC and more recently, cache attacks have also been devastating on smartphone. Moreover, the security of database access and symmetric searchable encryption show that applied cryptography has many practical applications and the software security is a real and important challenge. The specialisation Sofware Security looks at the many risks in the above-mentioned settings and provides mitigations that can be used at design time and at operation time, while taking into account the specific requirements of the various systems and the impact that risks might have. Mohamed Sabt is an associate professor at the University of Rennes (France) and participates in coordinating the EIT Digital Cyber Security in Rennes. His own research focuses on both smart phones security and post-quantum encryption for constrained devices. He also has 5-year experience in the industry of digital security and was the security leader of a French startup company for one year. Cyber Security is also a burgeoning field for the design and development of new products and services. Graduates will easily find jobs within companies that provide value-added products and services, such as telecom companies, game companies, e-learning, web developers, and the entertainment industry. Through their multidisciplinary attitude graduates are valuable in open innovation settings where different aspects (market, users, social aspects, media technologies) come together. An entrepreneurial path is also open to those who seek to start their own company to provide product or technology development, media content, business development or consultancy services. Contact our Student Ambassadors to find out why they chose this specific Master’s Programme and what it’s like to be part of a 2-year academic adventure with EIT Digital Master School! Watch our webinar to learn more about what it’s like to study Cyber Security at EIT Digital Master School. Monday, March 26 2018"Internationalisation of universities cannot be stopped"